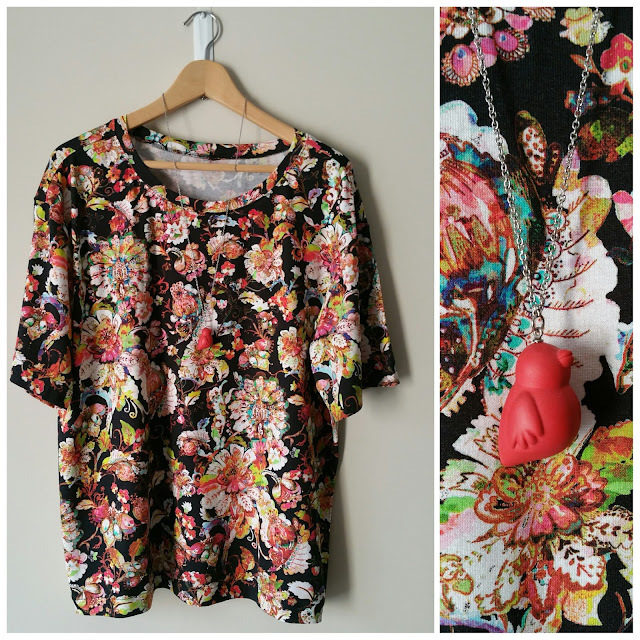 This fabric was made into a Maria Denmark Kristen Kimono Tee at the beginning of 2016 (post here). It got a lot of wear back then but not so much these days. I had bought a bit extra (like 90 cm) of the fabric as I wanted to remake the tee with a neckband this time (I have a BAD habit of re-buying fabric so I can have a do-over, so silly) but a few weeks ago I decided to re-purpose the fabric from the original tee and combine it with my 90cms to make another Simplicity 1366. I added about 3cm to the hem of the top to make it just a fraction longer so I can wear it comfortably with pants or pencil skirts. 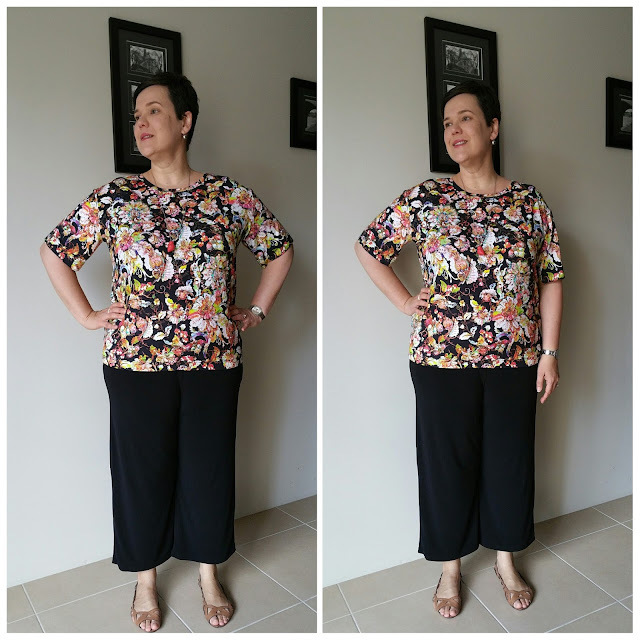 I wore it out today (after finishing it today) with my culottes and think the length worked really well. 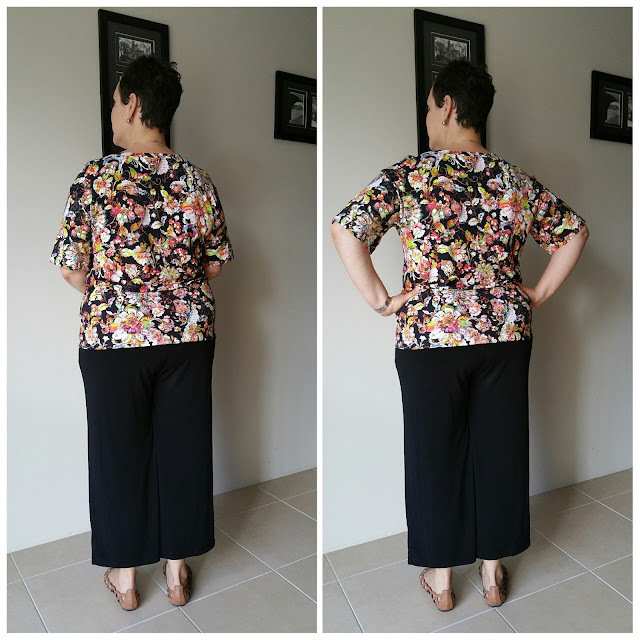 That said I do really like the length of the first Simplicity 1366 tee I made as it's good with fuller skirts. 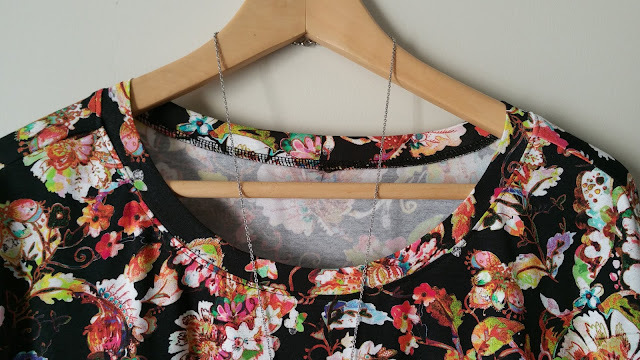 The neckband is top stitched with a longer straight stitch as are the sleeves (the stitching on those is a big...messed up, I think the thread was playing up in the bobbin). The hem is done with a zigzag to ensure it has some stretch. Just look at that neckband - they still make me as nervous as anything so I'm always pleased/shocked when they work out well!